Celiac disease (CD) is a common digestive disease. It is also known as celiac sprue, gluten-sensitive enteropathy, or nontropical sprue. In individuals with CD, gluten (a protein in wheat, barley, and rye) damages the small intestine and results in difficulty absorbing nutrients from food. Up to 1 in 113 people in the United States have CD. The risk is higher (1 in 22) in people with a first-degree relative with CD. The cause of CD is unknown, but environmental, immunologic, and genetic factors all contribute. 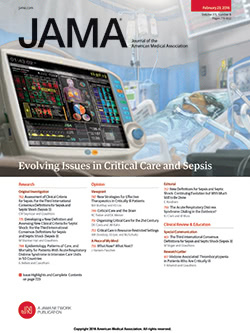 The October 12, 2011, issue of JAMA includes an article about CD. This Patient Page is based on one originally published in the September 16, 2009, issue of JAMA . It is believed that there is an immunologic (having to do with the immune system) aspect to CD. Antibodies are normal parts of the body that fight against something trying to invade it; autoantibodies are abnormally directed against one's own body. Several autoantibodies are found in the blood of patients with CD. These autoantibodies seem to be a result of CD. There is also a genetic component to CD. Almost all patients have a particular gene, but only a small number of people with that gene have CD. When people with CD eat foods or use products containing gluten, their immune systems respond by damaging or destroying villi (tiny fingerlike protrusions lining the small intestine). Nutrients from food are absorbed through the small intestine walls into the bloodstream. Without healthy villi, people become malnourished no matter what they eat. Symptoms of CD include abdominal bloating or pain; chronic diarrhea; vomiting; constipation; pale, foul-smelling, or fatty stools; and weight loss. Adults may not have as many of these symptoms as children. Adults with CD are more likely to have unexplained anemia (low red blood cell count), fatigue, bone or joint pain, arthritis, bone loss or osteoporosis, depression or anxiety, tingling or numbness in the hands and feet, or an itchy rash known as dermatitis herpetiformis. Because of the diverse symptoms of CD, diagnosis is often delayed and many individuals with CD are never diagnosed. Standard diagnosis of CD begins with blood testing and is confirmed with small intestinal biopsy showing abnormal villi. The only treatment for patients with CD is avoiding foods containing or made from wheat, barley, and rye for the rest of their lives. Eating even a small amount of gluten can damage the small intestine. In children, the small intestine usually heals within 3 to 6 months, but it may take years to heal in adults. Oats are safe in small amounts, although oats are often processed in facilities that also process other grains. Rice, potato, soy, and buckwheat are safe to eat. It is important for people with CD to read product labels because gluten is used as an additive in some medications, lipstick, vitamins, and even Play-Doh. To find this and previous JAMA Patient pages, go to the Patient Page link on JAMA's Web site at www.jama.com/. Many are available in English and Spanish.